iGRIND4REAL: ***EDUCATION MATTERS*** #CelebNews T.I. and TIDAL Announce “Money Talk” Education Initiative! ***EDUCATION MATTERS*** #CelebNews T.I. 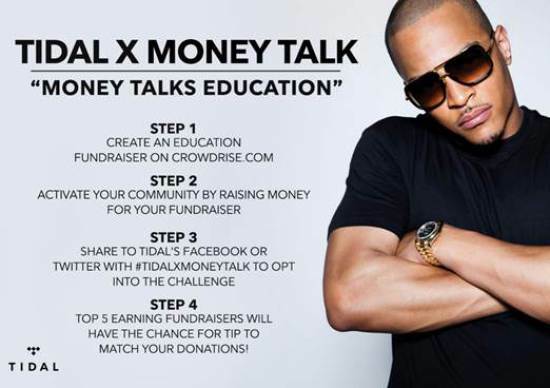 and TIDAL Announce “Money Talk” Education Initiative! T.I. is putting all of that money he raps about where his mouth is. Today he’s announced the “Money Talk With TIP” education initiative where he will match his money with educational fundraisers. 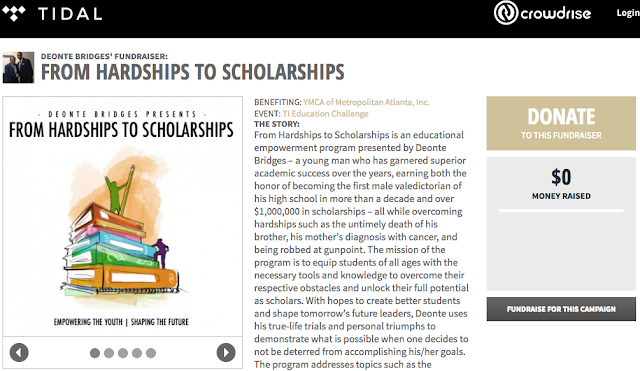 Students and individuals who have their own, or are tied to, organizations that are raising money to fund education initiatives can enter a contest where their funds will be matched by T.I. and TIDAL. The organization that has the most impactful proposal will see their money matched up to $250,000. To enter, organizations have to submit proposals via T.I. and Tidal’s Crowd Rise site. At that point it is on them to drive people to donate to their causes by using the hashtag #TIDALXMONEYTALK on social media. Participants must be at least 18-years old to enter. Between now and June 15, participants and the general public can donate to their favorite projects. June 15, TIDAL will announce the five finalists with the most funding. On June 22, TIP and TIDAL will announce the winner. T.I. is one of the many artists who is a TIDAL shareholder. He announced his partnership with the company during a TIDAL supported concert in Atlanta in February. 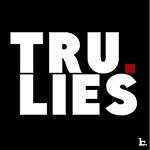 However, he recently revealed that he may not make his new album, The Dime Trap, a TIDAL exclusive.